I was thinking of good old dad this morning and the following is a must share. Growing up with my dad in the army where he was gone for long periods of time and rarely able to stay long with us gave me a sense of loneliness and insecurity. Doing his duty for his country took a huge toll on my family life and my mother was granted a divorce when I was five. He ended his tour of duty not to long after, moved a five hour drive and as the dollar was tight for mom I was not to see him as much as I could. This was to be until he passed away in 1986. A few weeks ago I was hosting a medium/psychic party in my home where I booked 8 of my friends who had 20 minutes each with the readers. And because I was hosting this I was given a free reading from Melissa and Brenda. When it was time to see Brenda who did the mediumship she turned to me and said, “Your father is with you and wishes to say how very sorry he is.” There were more affirmations that I would only know so I was a tad curious and let her go on without interrupting. Now all the time I was growing up I never had any harsh thoughts against my father and so I was stymied at her statement but only until she added, “He is sorry for not being there for you.” And then the dam broke and I was all tears. 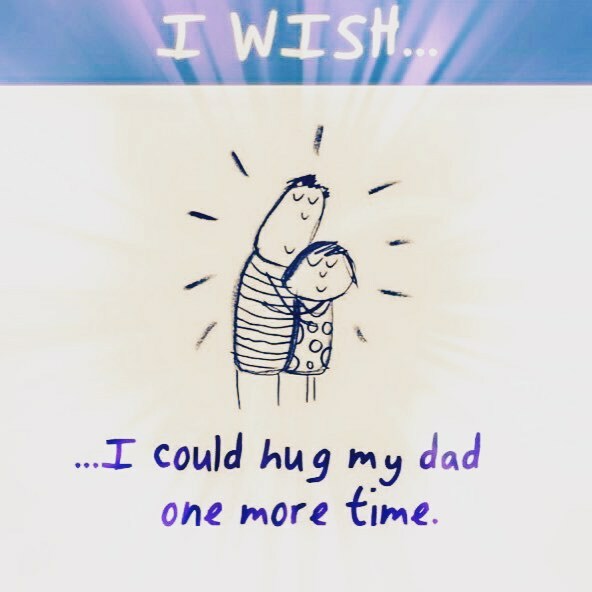 In all this it occurred to me how my life would have been so much better for his guidance, for him being a dad to me, to show me that he loved me. I felt so separated from him physically but so emotionally. That truly affected me growing up and my self confidence was something that I was always seeking. I had successfully pushed down those feelings and didn’t know they existed until that defining moment of my reading. This is what they call a healing message which I have heard stories from my mentor’s and so happy to have been on the receiving end of one. And so it is with this story that I imparted to you all and the very reason why I want to develop my abilities to also give healing messages, to help heal people. Ego has no place in this world of light and love where it is all about the reader. This is all about what spirit gives to the person being read and so it is all about them. To be further from the hurt we carry, a burden on our backs if you will and to lighten the load or to conquer it and to move on and be at peace . Previous postDreamer, you know you are a Dreamer! Next postI Got To Be Me! I too, want nothing more than to help with the grief of those who have lost loved ones. I also received healing through readings, and can think of nothing kinder to give to someone a word or two from their loved ones to help lessen their pain.